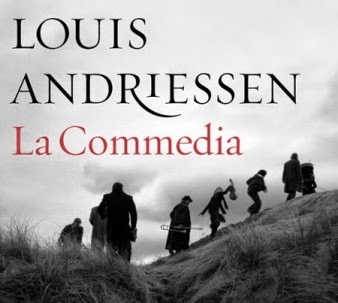 Nonesuch Records releases Louis Andriessen’s Grawemeyer Award–winning La Commedia on June 10, 2014, as a set with two CDs and a DVD. The film opera, a collaboration with director Hal Hartley, is based on Dante’s Divine Comedy, with additional texts from the 16th-century German theologian Sebastian Brant, the 17th-century Dutch dramatist Joost van den Vondel, and the Old Testament’s “Song of Songs.” This Dutch National Opera production features the Asko and Schönberg Ensembles, led by Reinbert de Leeuw, with vocal soloists Claron McFadden (Beatrice), Cristina Zavalloni (Dante), Jeroen Willems (Lucifer/Cacciaguida), and Marcel Beekman (Casella). The children’s choral parts are sung by Waterland’s Kinderkoor De Kickers, conducted by Jan Maarten Koeman.